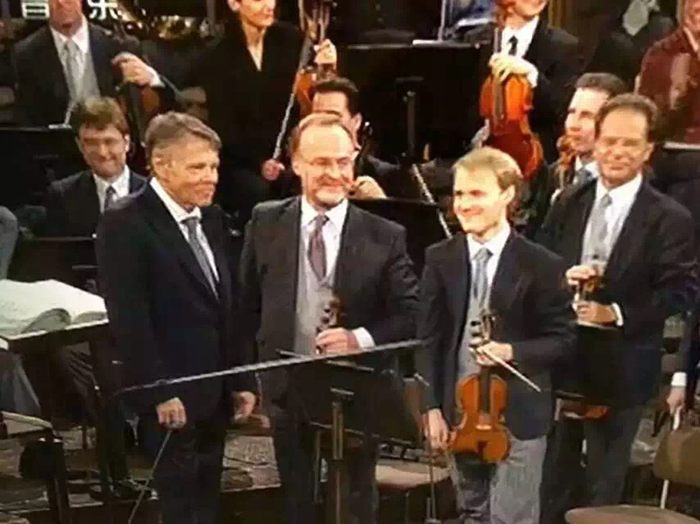 Congratulations to Prof. Helmut Zehetner, the president of the Artistic Committee of our festival, and who performed as the second violin in the famous New Year's Concert of the Vienna Philharmonic Orchestra. It is a great honor for us that Prof. Helmut Zehetner, vice president of the famous Vienna Philharmonic Orchestra and professor at the University of Music in Vienna, takes care of the artistic activities of our festival. Under his leadership, the participants at our festival will get unforgettable experience in the music capital of the world in the summer of 2016. Prof. Helmut Zehetner is not only a great musician and but also a warm-hearted educator. He gives strong support to students. During the World Orchestra Festival, Prof. Helmut Zehetner will also give workshops to some participating orchestras and lectures to all participants at the music forum of the festival. The World Orchestra Festival welcomes you !